As an undergraduate student at Temple University, Fred Berger was lucky enough to land an internship with the college in Philadelphia. “I came in for an interview to work at Temple University Health System (TUHS) and, the same day, I was offered an internship. 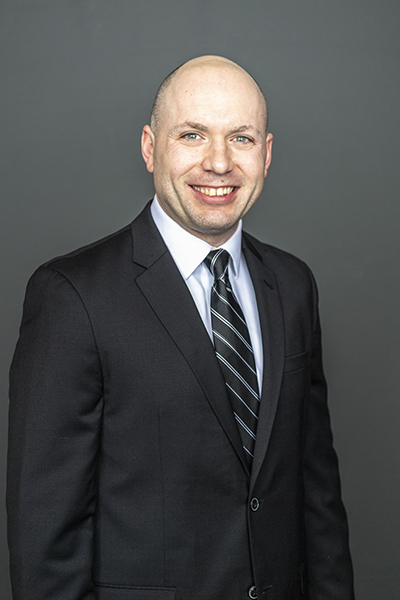 When I graduated the following year, I didn’t want to be anywhere else other than Temple,” says Berger, who rose through the ranks of the university health system and now serves as its director of benefits and pension administration. While his route to work hasn’t changed a lot in the past sixteen years, Berger’s role has evolved dramatically, as have employees’ expectations of what workplace benefits should look like. When he joined TUHS as a full-time benefits analyst after graduating from college in 2003, he says employees were presented with a benefits package as a recruitment and retention tool, with most people not giving their benefits a second thought after selecting their plan as a new hire. “But, over time, it’s evolved to incorporate employee engagement and well-being, allowing employees to be better stewards of their own health,” says Berger, a Philadelphia native whose family includes many other Temple alumni. Temple’s tools for driving engagement include a partnership with Accolade, a personalized health and benefits navigator. Accolade pairs individual employees and the family members covered under their plan with a team of healthcare and benefits professionals who are on call to answer any questions they may have. This service provides personalized support as people navigate their health and benefits needs. Berger says Accolade’s contact information replaces the phone numbers for insurance companies on the back of TUHS insurance cards, and callers can expect to connect with the same Health Assistant each time. Accolade’s employee support teams also include nurses and other professionals who provide healthcare and benefits support by phone or electronically. Among other services, Accolade also delivers targeted tips and reminders, reaching employees through their mobile device, via email, through Accolade online, or in the office, based on an employee’s preferences and needs. Matt Eurey, senior vice president of customer and health plan partnerships at Accolade, says he’s seen the “power of personal advocacy” increase over the past three years of working with TUHS. More than 53 percent of families covered by TUHS benefits used Accolade in the past year. Those who used it also expressed a high level of satisfaction with the service. Accolade’s impact has extended beyond anecdotes, as well. Before becoming the company’s first healthcare client in 2015, TUHS was experiencing a 5–10 percent annual increase in medical insurance costs and a 7–15 percent increase in prescription coverage costs. 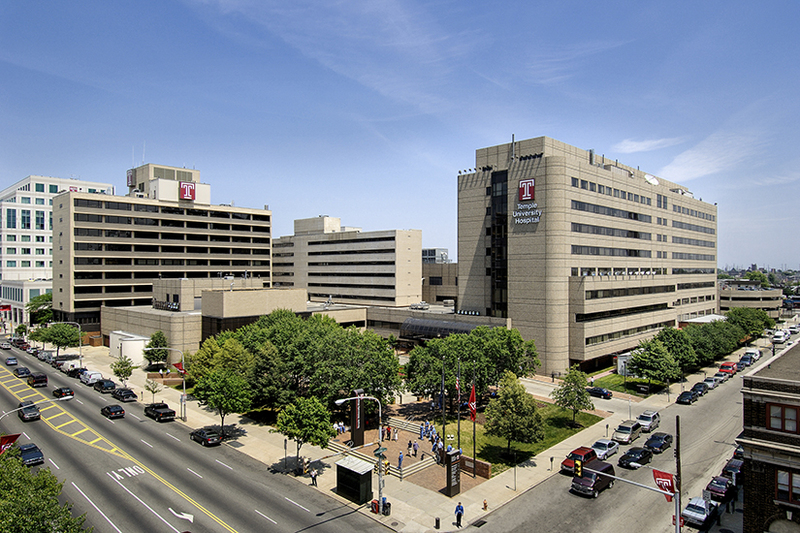 Within a little over a year of introducing Accolade, Temple executives started seeing some of those trends change, and the service is still saving TUHS money while improving employees’ experiences with the healthcare system, Berger says. “Over the past fiscal year, our hospital admits went down 15 percent, our in-patient days went down by 13 percent, our hospital readmits went down by 26 percent, and our preventive services utilization went up,” he says of those covered by TUHS medical plans. Accolade also delivers a better healthcare experience for TUHS employees, which is just as important as financial results, Berger says. In-house efforts including everything from weekly emails and other key communications from the TUHS benefits department, as well as an on-site Weight Watchers group have helped increase employees’ engagement and accountability for their own health, whether it be physical, mental, or financial. But Temple aims to continue to improve how it helps employees on those fronts, Berger says. Over his tenure with Temple, benefits packages have expanded to include retirement planning tools and employee assistance programs. Among newer initiatives, Berger and his team are also planning to expand TUHS’s mental health support services and debt management offerings for everyone from younger employees who might be struggling with student loans to older workers who might be trying to pay their kids’ way through college, and more.